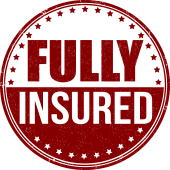 Looking For Roofers in Dallas? 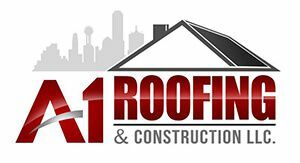 A-1 Roofing specializes in top-notch commercial and residential roofing services in Dallas. Whether your roof needs repairs, a restoration, or a new roof. A-1 Roofing is ready to help you with quality service. Providing you with energy efficient roofing and superior roofing services in the Dallas area. A-1 Roofing is ready to help you with quality service. We are Experienced Trained Professionals that provide you with the best quality services in the Dallas area. A-1 Roofing specializes in top-notch commercial and residential roofing services in Dallas. Whether your roof needs repairs, a restoration, or a new roof. "I've had work done by A-1 on both my business and home. James and his team were professional, friendly, and thorough. Their pricing was fair and the work was performed quickly. I would definitely recommend them and if ever needed I would use them again." "Dec 26, 2015 an F4 Tornado came through Rowlett and Garland, and my roof was damaged very badly after this catastrophic event. Jeremy Sanchez and James Young made the entire process an easy one. From coming out to tarp it just a day after the storm, to working with my insurance company. His team was dedicated to the details and my new roof is one I now feel secure under again. Thanks guys!" Great customer service! Did a wonderful job for me! Professional and quick! Will use again (hopefully won't need it!) straight shooter and gives all the options available to you! I used a AMAZON LOCAL and had my roof inspected for a home sale. Called on Thursday and he showed up on Friday. Very professional and I would highly recommend.